EDINBURGH has been left out of a £3 million advertising campaign to boost business in Britain’s cities – including Glasgow. Heathrow Airport is to provide Scotland’s largest city and five other city-regions with a six-week marketing blitz each, worth £500,000. The UK’s busiest airport described the move as “an advertising partnership with several great cities”. Edinburgh will not be part of the push, to the surprise and annoyance of the Capital’s business and aviation chiefs. Poster sites and exhibition space in Heathrow’s five terminals will instead promote north-east England, Northern Ireland, Leeds, Glasgow, Cardiff and Bristol from next month. 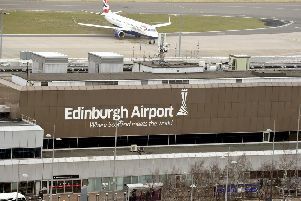 However, an Edinburgh Airport spokesman said: “When Edinburgh Airport was part of BAA, many of the Heathrow execs didn’t know where it was, so we’re not surprised to find we’ve been excluded from this promotion. Marketing Edinburgh, which promotes the Capital, said the city should have been included to help it keep up with the competition. Chief executive John Donnelly said: “I’m genuinely very surprised and slightly disappointed. But Edinburgh Chamber of Commerce signalled that the city could do without the campaign. of state-of-the-art venues, infrastructure and a unique cultural backdrop. “Business travel to the capital contributes to the continuing strong growth of Edinburgh Airport’s passenger figures – both from domestic and international travellers – as it outperforms the rest of Scotland. A Heathrow spokesman stressed that other cities could be included in future campaigns, and it had launched a Scotland-wide advertising drive in December. He said: “On this initiative we’ve partnered with Glasgow. If the programme is a success, we’d be looking to roll it out to further cities across the UK.